This September, catch a glimpse of Mobile Fashion Week 2018 through “Draped,” an exhibition focused on the art of draping. From Ancient Egyptians to Modern/Contemporary designers, draping has been a trend that has survived throughout the ages. Some of Mobile’s best local designers will dazzle you with their draped creations in anticipation of Mobile Fashion Week’s big show. 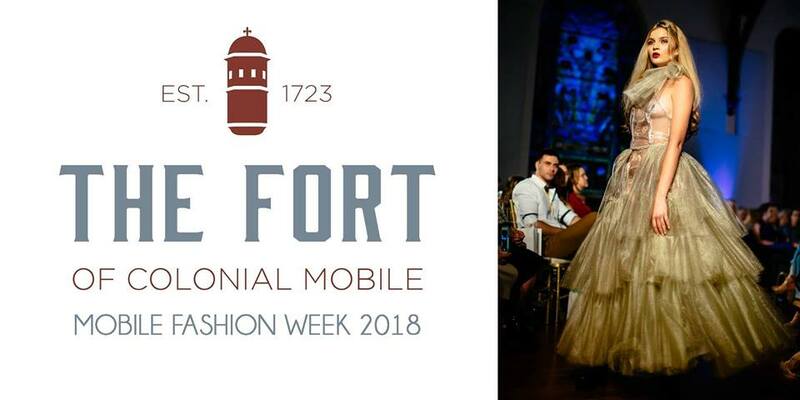 Mobile Fashion Week is September 22 from 6 to 9 p.m. at The Fort of Colonial Mobile. This is their 7th year of Fashion Week, and they are bringing every facet of the fashion industry (models, designers, makeup artists and hairstylists) together to support Camp Rap-A-Hope. This year, they are hoping to donate the largest check yet to this amazing camp for kids with cancer. Order your tickets now online for $30 (tickets at the door will be available for $40).